The Fresno Fire Department reported a plane down near Sierra Sky Park in Northwest Fresno. FRESNO, Calif. -- Two people are dead Monday after a small plane crashed in Northwest Fresno, the Fresno Fire Department said. Firefighters reported a plane down near Sierra Sky Park around 1:30 p.m. and crews located debris on the San Joaquin River. The cause of the crash is unknown and the identities of the victims have not been released. 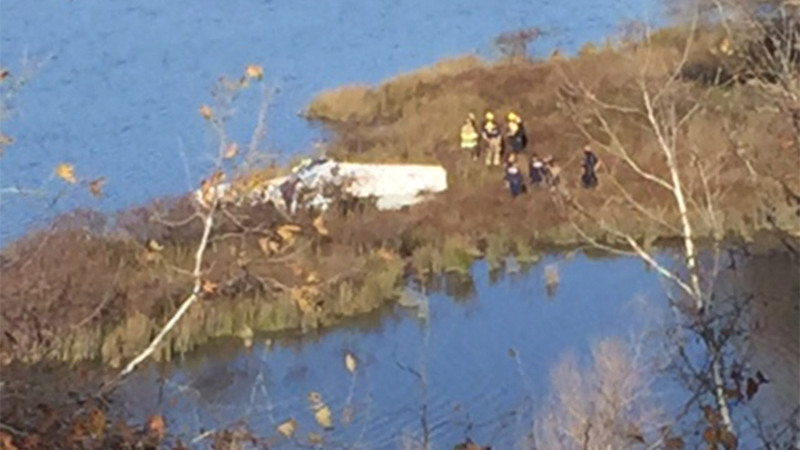 From FAA's Allen Kenitzer: The aircraft, an Express S-90 experimental, crashed in pond north of Sierra Sky Park under unknown circumstances.